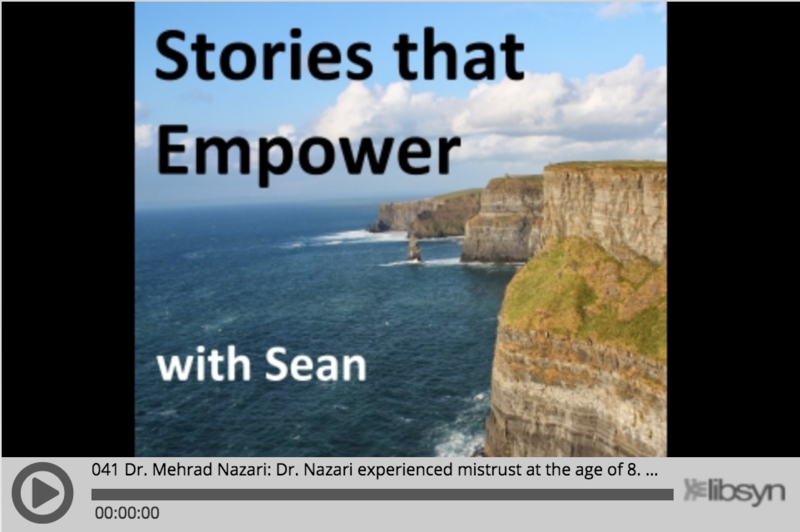 Sean Farjadi, host of Stories that Empower Podcast, interviews Dr. Mehrad Nazari. Dr. Nazari experienced mistrust at the age of 8. He has invested his entire life and profession to understand and share his findings on the importance of trust, in his book “Enlightened Negotation: 8 Universal Laws to Connect, Create and Prosper”. Dr. Nazari believes that once trust is established, we can experience an environment of positivity, energy and creativity. He strives to lead mindfully and serve humanity. Find out what inspired Dr. Nazari to become an expert negotiator and his path to improve human interactions~!